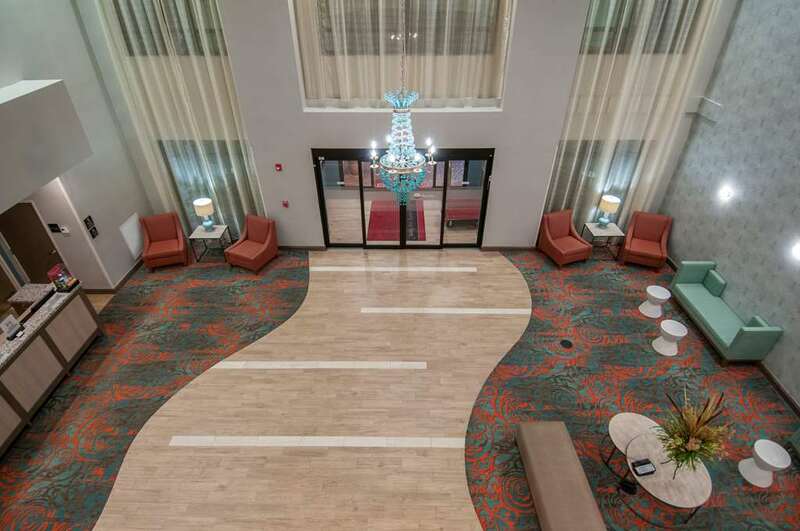 Welcome to Hampton Inn - Suites Pensacola/I-10 Pine Forest Road a friendly modern hotel near lots of popular family-friendly restaurants beautiful sandy beaches and Pensacola Florida attractions. Scuba dive down to the wreck sites of the USS Oriskany and the USS Massachusetts or visit the fascinating National Naval Aviation Museum. Soak up the atmosphere at the nearby Five Flags Speedway and experience thrills and spills at Sam*s Fun City and Water Park. This welcoming hotel in Pensacola FL also offers easy access to Interstate 10. Feel at home in a comfortable guest room or suite equipped with a 42-inch flat-screen TV a refrigerator microwave and coffeemaker. Check emails with free WiFi at the ergonomic desk or work comfortably with the handy lapdesk. Get a great night*s sleep on the clean and fresh Hampton bed before waking up refreshed to enjoy Hampton*s free hot breakfast buffet. If you*re heading out early pick up a free Hampton*s On the Run Breakfast Bag Monday through Friday and buy snacks and drinks at any time in the 24-hour Suite Shop. Swim in the sparking outdoor pool or energize in the free fitness center. Stay productive with useful professional services in the free 24-hour business center and plan a business event or conference for up to 40 people in the hotel*s modern meeting room or boardroom. Friendly service clean rooms comfortable surroundings every time. If you*re not satisfied we don*t expect you to pay. That*s our commitment and your guarantee. That*s 100 Hampton.